Last year during the Christmas season, the students of SCS raised funds to support the ministry of Lahash International. Lahash partners with local churches across East Africa to provide holistic care for orphaned and vulnerable children through child sponsorship. SCS alumni, Casey Schilperoort ('99) and his sister Jen Johnson ('95) both work with Lahash International at their U.S. headquarters in Portland, OR. When Casey visited our students in the Fall of 2014, he shared an urgent need. We learned that 25 Tanzanian kids in Lahash's program were without sponsors and needed help in order to receive a Christmas gift that year. 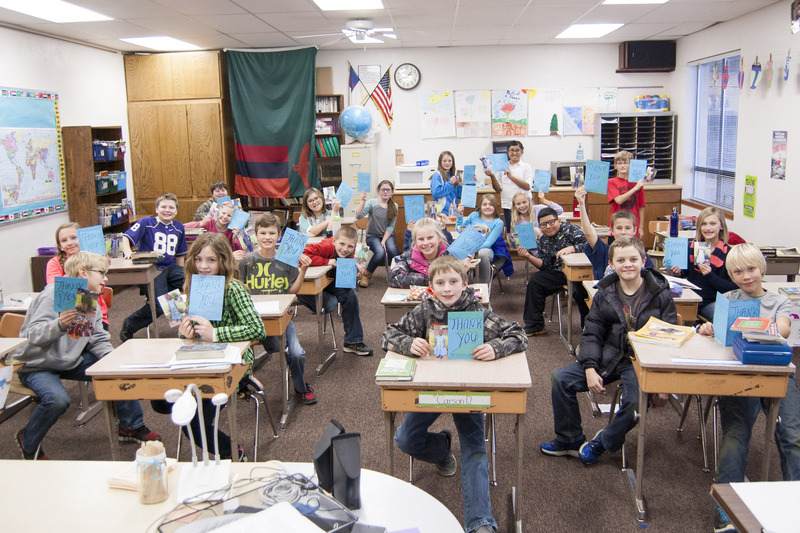 Students from Kindergarten to 8th grade rallied in support of these kids on the other side of the world, and the results were inspiring. Together they raised over $1,000 to provide gifts of new clothes for all 25 vulnerable children! After receiving their Christmas clothes, the kids in Tanzania wrote thank you cards and drew pictures of their new shirts, trousers, dresses, and shoes. They sent the cards to Lahash along with photos of the kids wearing their clothes. Recently, Casey was able to pass these cards along to the students and faculty as SCS. Principal Del Dykstra shared the cards at a recent staff meeting. "The teachers loved the cards and pictures. It makes you feel good to see the kids in new clothes," he said. "So proud and grateful." "It was so fun to be back at SCS and see the kids get excited about helping others," said Casey. "The kids Lahash works with in East Africa live in incredibly difficult circumstances, and for many of them this would have been the first Christmas gift they had ever received. money raised by SCS in 2015. It was inspiring to see students joining together to give these gifts and share Christ's love in such a tangible way. Thank you to everyone who joined in!" 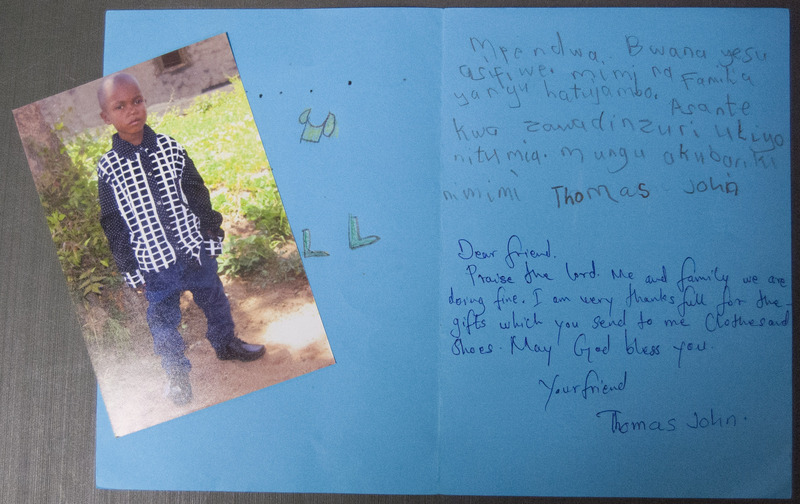 Receiving these cards and photos from Tanzania is a great reminder of the impact we can have when we share the love of God with those in need though our gifts at Christmas. If you are interested in supporting the work of Lahash International this Christmas, you can give a gift through their Christmas Giving Catalog. You can pick up a printed copy of the catalog at school, or visit Lahash's Online Gift Catalog to view the gift options and give online.